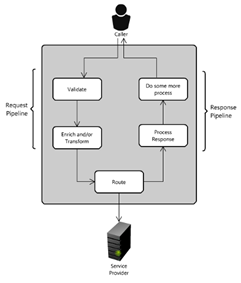 The threading model used by Oracle Service Bus states that the request pipeline must execute on a thread (the Inbound Request Message Thread) and the response pipeline must use another thread to process the response (properly named the Outbound Response Message Thread). The route is done by a transport provider, which can or cannot use the request thread to wait for the provider’s response. When the transport holds the request thread until it gets a response, it is called a blocking transport. Conversely, if the transport puts the call and releases the thread, it’s called a non-blocking transport. Some of the transports are listed below, with info about their support to non-blocking calls: Read the complete article here.